Ok, I finally had some extra cash, and the fact that the Ceton InfiniTV 4 tuner dropped $100 in price, so I went ahead and ordered one. I’ve been using 4 ATI Digital Cable tuners for a while now, and had very few problems, but I figured if I could cut my monthly cable bill a bit, I might as well. Now, there’s good news, bad news and really good news. First the bad news. Of my four Comcast CableCARDS, two were M-Stream cards. Ok, I figured this was great. Take one of my existing cards, pop it in the new tuner and call Comcast to have it re-paired. Well, the card wouldn’t authenticate. No matter how many times the rep sent the validation signal the Ceton’s included diagnostic program showed Not Validated and Headend has not started service messages. Ok, no big deal. Maybe the card fried on being powered down and back up. So, I took my other M-Stream card and put it in and had them try pairing that one. Ok, it Validated. But the “Headed has not started service” message wouldn’t clear. So, now its time for a truck roll. The tech showed up in the allotted time frame, and as requested had brought two M-Stream cards with him. Now for the really good news. The Comcast tech actually knew something about CableCARDS! He said he had only done one PC install, looked at the Ceton tuner and said, “Yep, that’s the same card.” We put the new card in, he called into ATS and had the card paired in a couple of minutes. And now I’m using one PCI Express slot taken up, 4 USB ports opened up and I get all 4 streams of the M-stream card in stunning HD. Well, ok, its HD and not the greatest thing since sliced bread, but all in all not a bad day in the living room. I hope to have the money in the near future to pick up another Ceton InfiniTV 4 card and another NEW M-Stream card. I’d love to play around with their Network Tuner software. According to the documentation, it allows you to assign specific streams from the tuner/card to another Media Center PC. That “remote” PC can access the Ceton tuner, over your home LAN just like the tuner was local to the machine. The caveat is “A Gigabit Ethernet Network is recommended if more than one tuner is assigned to the Network.” So that’s another upgrade to my house before I can play with this functionality. If anyone has played with the Network Tuner functionality, I’d love to hear your story! Thanks to Terri Stratton for her post at mobilepcworld.net! Contest Coming Soon!!! Thanks to Lenovo and Ivy Worldwide, we, along with 19 other sites, are bringing you the chance to win a new Lenovo A70z. Be sure to visit all the other sites listed below for your chance to win. Each site will have a winner. Contest details will be posted on each site the day that its contest starts. Each site has its own rules and requirements, but this is a legitimate offer! I recently decided to see if I could "cut the cord" on my home wireline and go with MagicJack. It had received pretty good reviews, been around for a while and, for the price, looked like something I should check out. Sadly, I was very disappointed. The call quality was good, when it was there. But when it wasn't, it was a bad as a bad cellular connection. And then, after one or two successful calls, it would start acting up. I'd pick up the phone, dial a number and after the first three digits, I'd get another dial tone. Once this occurred, I would be unable to make any calls until I rebooted the PC. Nothing in their FAQ or troubleshooting literature addressed this and I just gave up on it, put the USB device away and cancelled the service. I'll have to give this one a big thumbs down. Caveat emptor or "Let the buyer beware"
Ok, this is a new one for me. I love to give good reviews of products and services, and generally hate to give bad ones. However, by and large CompUSA got most of my business. And then CompUSA closed their retail stores and went online only. Not a big deal, prices were still good, if not a little better and I can usually wait the two or three days to ship something. Now, one of my kids wants a new MP3 player, and he's willing to pay for it himself. Ok, not being rich, he decides on a refurbished Sansa e280. CompUSA's web site says this product has a 90 day manufacturer warranty, and there is an extended service plan available. So I ordered the Sansa player and the extended service plan. Now, about 70 days after receiving the player, the display dies. I called Sansa, and they helped me troubleshoot the problem and decided the player needed to be returned under its one year warranty. I truthfully told the rep that it was a refurbished device and only had a 90 day warranty, but it was still within that 90 days. I was then informed that Sansa doesn't warranty refurbished items, at all! Another call, an hour later, with another tech gets me the same information. Ok, no sweat, I'll just call CompUSA. This really isn't that big a deal, as I can get it replaced under the extended service plan, in a few days. Its just that this is another example of how poor customer service is getting. The CompUSA customer representative should have simply resolved the issue, and cross-shipped a replacement, since their web site's information was inaccurate. But she didn't, and their sales manager never called to follow up on the issue. They will be hearing from me again, tomorrow, and they'll be informed that they've just lost a customer of many years. I found a new (to me anyway) service today, thanks to an insert in the box my Linksys DMA2200 came in. Its called RadioTime, and its free. Its a Media Center plugin that allows you to stream Internet radio stations from all over the world. And it can present you with a list of local radio stations, based on your ZIP code, that are available for streaming. You can add your favorite stations to a Favorites list (who knew there was a country radio station in Prague?). This feature requires a free subcription to utilize. They also advertise a companion service, The RedButton. This allows you to schedule and record radio, and play it back via Media Center or your portable media player. They do have a 14 day free trial, and if you decide to buy its a one time charge of $29.00. No recurring fees at all! And, yes, it works though the Media Center Extenders, as well. My Linksys DMA2200 arrived today, thanks to the Media Center team at Microsoft (Thanks, folks!). I was fortunate enough to get to test a competing product, the D-Link DSM-750, prior to this. PRO: The single biggest advantage of the DMA2200 over the DSM-750 is a built-in DVD player. This is a 1080p upscaling DVD player. Sadly, you have to exit the Media Center Extender UI to get to the DVD player, but........ Its an inconvenience, not a show-stopper. PRO: The UI in the DMA2200 seems to be a bit snappier and smoother than the DSM-750. CON: The DMA2200 does not have the Windows Media Connect feature of the DSM-750. This allows you to access shared music, movies, videos and pictures across your LAN. Of course, you can do this within Media Center, too, so I don't see this as any big loss. The DMA2200 does what you would expect a Media Center Extender to do, and so far, does it pretty well. 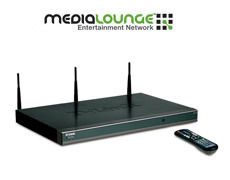 It presents almost every function of the full Media Center Experience, and does it in a small black package. No need to have that clunky PC in the den or living room any more. Both units support Draft N wireless. as well as wired ethernet. And they both support Composite, Component and HDMI video. Surround sound support is standard for both units, as well as S/PDIF audio out. I haven't tried the wireless yet, since I already had CAT-5 running to the devices location. All in all, if its a choice between these two units, I'd spring for the extra bucks and get the DMA2200, as it doesn't lose anything I'd miss and gains a DVD player. MagicDisc is freeware. It is very helpful utility designed for creating and managing virtual CD drives and CD/DVD discs. For anyone who deals with CD-based programs – it is a MUST. MagicDisc allows you to use almost all CD/DVD image without burning them onto CD or DVD in order to easily access your favorite games, music, or software programs ---- It works like a real CD/DVD-ROM: You can run programs, play games, or listen to music from your virtual CD-ROM. Allowing you to run your game images at over 200x faster than from a conventional CD/DVD-ROM. MagicDisc is a powerful utility that uses a unique combination of options to ensure a perfect back-up every time. Partner with MagicISO, Your original games/program discs can be safely stored away, MagicISO mean that you always have your expensive media stored safely as CD/DVD image file on your hard drive, and use them with MagicDisc just like using the original discs. At the office: Program discs and many other applications generally require the original disc to be in the computer's CD-ROM drive. This restricts the amount of people in your office who can have access to the same software at the same time without the cost of additional discs. MagicDisc virtual drives resolve that problem for you. No more hunting around the offices for that elusive disc you need to run your application, everything you require is just a click away. To date, there have been twenty (20) KB articles published, related to Windows Home Server. A Microsoft KB article was released on 12/20/2007 which describes reported situations where data corruption may occur when you use certain programs to edit files stored in a Windows Home Server's "Shared Folders". • Interaction issues that occur between Media Center PC and Microsoft Xbox 360 when Xbox 360 is used as a Media Center Extender. For those interested in the workings of Windows Home Server, behind the scenes, here's a great technical brief that describes the Windows Home Server Drive Extender technology and how it helps ensure that you can always add adequate storage space quickly and easily. Microsoft has posted an interactive video demonstration of Windows Home Server and what you can do with it. Ok, I've tried Nero and other utilities for burning CD/DVD media from ISO files, as well as creating ISO files. While Nero works fine, 99.9% of the time (others less so), I've been using a free CD/DVD burning tool called ImgBurn. It can be downloaded from http://www.imgburn.com. There's a full write up on the web site about what you can do with it. All I can say is, "It hasn't made a single coaster yet!!" And that's good enough for me. Ok, Windows Home Server has been RTM'd for over 90 days now, and many folks are getting their copies from various online retailers. I won't go into who's been bad and good in that department for this post, but lets say some vendors have been worse than others. We're also seeing a wide variety of pricing for the same disc set from vendor to vendor. If you care to post a comment about the retailer your dealing with, please keep it neat, clean and family friendly (if you don't, I'll delete your comment. Sorry!). Windows Home Server supports a "Server Reinstall", instead of an upgrade. This method allows you to keep any backups made under the RC release, but sacrifices user accounts. Shared folders are still intact, but they're no longer linked to a username, until you re-create the user account. 1) I did a Server Reinstall and found that even with the same Administrator username and password I could not access any of the Shared Folders from the previous installation. Fortunately, the External Copy Backup tool proved its worth. It had completed its daily backup of the designated Shared Folders, so all was not lost. But due to the permissions issue, I did have to resort to a clean installation. Again, thankfully the External Copy tool did its job! 3) WHS shares the same lack of drivers and Windows Server 2003. I'm running it on an Asus A8N-SLI Deluxe motherboard with an ATI X800 video card. Neither of the onboard NIC's had drivers, nor was there even a generic ATI driver for the video card. Why an X800 on a supposedly headless machine? It was laying around :-) Fortunately for those buying complete OEM systems, this won't be an issue. For those doing a "roll your own", have your drivers handy! I've been running RTM for about a week, and am backing up 7 PC's. Every one has been successfully backed up on every day. Even those that are set to go to sleep or hibernate. Great job WHS Team! Another new feature since RC0 is the ability to set the "alarm" point for missed backups. In earlier builds it was hard coded for 5 days. Miss a backup for 5 days and your SysTray icon would go red. Now, you can not only set the number of days before it warns you about a backup failure, you can also set this on a per-computer basis. Great for the kids laptops that may not be home during the school week, or even turned on if they are! All along I've been very impressed with Windows Home Server. The development team put a lot of thought and effort into it. Sadly they were up against a hard deadline for shipping, so some much wanted features couldn't be included. However, there are always Service Packs and Version 2. While SP releases for OS's have historically been bug fixes, there have been a couple of exceptions. Windows XP SP2 introduced new features. The same happened with Update Rollup 2 for Windows Media Center. So, maybe (and that's just my wishful thinking) we won't have to wait for version 2 for new features that aren't add-ins. But don't get me wrong, there are some great folks writing some great add-ins for WHS. A good listing of what's out there can be found at We Got Served, as I mentioned in an earlier post. I expect we'll see even more add-ins now that the RTM version is more widely available. This is so very, very cool! For those of you who are considering buying a new Windows Vista PC with one or more Digital Cable Tuners (DCT), there is hope for some rockin' systems. We've seen various announcements that Niveus will be shipping a Vista Media Center PC with support for four (4) Digital Cable Tuners and I'm sure other vendors will follow. I really, really wanted to see this in action, so I asked the Media Center beta team if they could accommodate me. They were fantastic. They sent me two additional DCT devices and the information needed to set them up and have four DCT's working all at the same time! I'd like to include a really big thank you to the Media Center beta team for letting me try this out!! Now, I've had my Vista machine with dual tuners working since the early days of the beta, so I'm not too worried about screwing things up. So once I had the additional tuners in hand, and ready to go, I called Comcast and scheduled a service call to have the tech come out with the extra Cable Cards. The setup of those went pretty smoothly. As I expected, the tech did not have any idea that they were to install the Cable Cards in a Media Center PC, but she didn't balk. Once the cards were in, I called up the pairing information for the tech, soon I was able to watch and record up to four programs at once ( actually 4 are recording as I write this! ). This does put quite a demand on the system. With four programs recording, hitting Recorded TV on the remote control caused the one program that was playing to stutter for a bit, but once the Recorded TV screen came up, it settled out. I suspect that I may need more RAM. But it could also be hard drive speed. I've already got SATA-300 drives in the system, so there isn't going to be much improvement there. I've been asked not to go into the specifics of how to accomplish this, as for now its limited solely to the OEM vendor(s). So for now, we'll just have to content ourselves with the OEM offerings. After all, you can't just go out and buy the Digital Cable Tuners at any retail outlet. More on this as I get a chance to play with this setup some more! Ok, after adding in the second Gig of RAM, things have been "just smashing" as our friends across the pond would say! One, two, three, four shows recording/being watched at the same time is awesome! My spouse even had the chance to catch a new show that she had written off due to lack of tuners in the primetime period. Three were already recording, she called up the Guide and clicked on the show. She happily watched it, while the other three tuners were dutifully recording what they were supposed to! Now, if the the MCE team would come out with a "software" Media Center Extender that retailed for $100 or less per copy, I would happily shell out the money for a kick-@$$ machine with tons of storage, upgrade to Gigabit ethernet throughout the house and build a really sweet Windows Media Server!